Bath is one of our favourite destinations to visit in the UK. 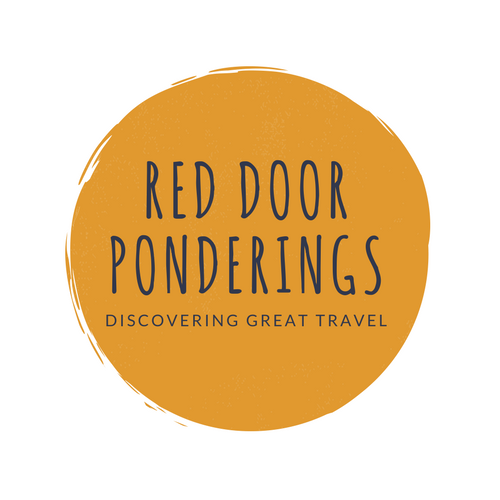 We have been lucky enough to visit and housesit in Bath several times over the last six months and are looking forward to returning later in the year. Visiting Bath sometimes feels like you are stepping through a doorway in time where Elizabeth Bennett could come striding around the corner at any moment. This is not to say that Bath is stuck in time. It is a wonderful city to explore & experience a Georgian landscape and cityscape. With an easily walkable town centre, intact Georgian streetscapes, and houses perched on the hills surrounding the town, it is not surprising that Bath can heave with tourists in the Spring and Summer. Autumn and Winter are just as pleasant times to visit – and how amazing would it be to soak in the thermal pools when it is extra chilly outside. Bath is an easy train journey from Bristol (15 minutes) or London (1.5 hours), making it a good city break destination in the UK. 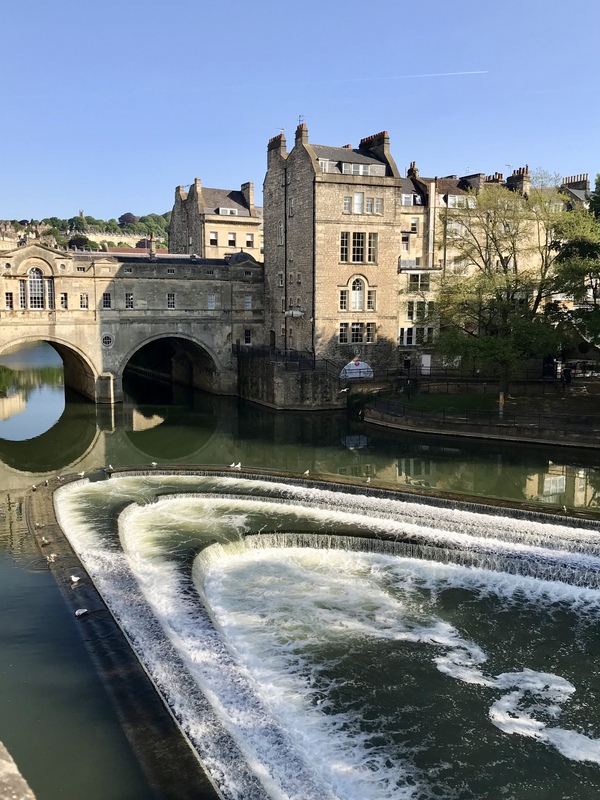 Why Should You Visit Bath? So, Should You Visit Bath? If you Liked This Please Pin and Share! You won’t have to look far to find things to do in Bath as the city is famously full of attractions and activities. Bath hasn’t changed much since the time of the Georgian gentleman Ralph Allen or Jane Austen, both of whom fell under the spell of this city. Take a tour through time and explore the only UK city designated a UNESCO World Heritage Site. You will travel centuries in just a few steps. Visit the Roman Baths dating back to AD43 to see how early inhabitants liked to unwind. Wander through the pages of one of Austen’s classic novels as you stroll past mellow architectural masterpieces like the Royal Crescent and The Circus, or celebrate Bath’s most famous resident at the Jane Austen Centre. Bath is also the ideal base for exploring nearby sites like Stonehenge or the Salisbury Cathedral. Bath’s heritage is just part of the story. Bath is a lively, thriving city where ancient history and Georgian elegance sit comfortably alongside decidedly 21st Century cosmopolitan buzz. You can eat out in hundreds of restaurants and cafes serving everything from Michelin starred cuisine to simple satisfying tucker. You can’t go past trying a Bath Bun or a Sally Lunn Bun. Unwind in sophisticated cocktails bars and welcoming traditional pubs, then dip into a rich entertainment scene that embraces comedy, live music and theatre. And if that isn’t enough, there is also a year round programme of special events and festivals. Steeped in 2,000 years of history, the Romans build these baths around Britain’s only natural hot springs. The bathing complex still flows with natural hot water, and the museum houses a selection of Roman artefacts found within the Baths. While you can no longer bathe in the hot springs it is well worth visiting the Roman Baths to see the magnificent history and engineering associated with ancient Bath. Be sure to go early as the lines can get very long. If you are looking to experience the natural hot springs in Bath then the Thermae Bath Spa must be at the top of your list. The Thermae Bath Spa uses the water from the three natural hot springs in Bath (the same springs also supply the Roman Baths). With a rooftop pool and another indoor pool, several steam rooms, treatment areas and a restaurant, the Thermae Bath Spa is a mecca designed with relaxation in mind. We floated out of here in a blissful state of contentment. I can imagine visiting Thermae Bath Spa in winter would be an even more magical experience. Thermae Bath Spa can get very busy. By going first thing on a weekday we pretty much had the rooftop pool to ourselves. Weekends are very busy. We also tried to go on a Sunday afternoon and it was full! So, plan ahead! While Bath Abbey (as it looks today) was restored in 1616, there has been a place of worship on this site for well over a thousand years. The Abbey Church of Saint Peter and Saint Paul, Bath is an Anglican Parish Church and former Benedictine Monastery. The first King of all England, King Edgar was crowned on this site in 973 (as shown above). The service set the precedent for the coronation of all future Kings and Queens of England including Elizabeth II. You can take a Tower Tour and climb the 212 steps to the top. Once there you will enjoy spectacular views of Bath and the surrounding countryside. A Hop On Hop Off Bus Tour is an excellent way to begin your discovery of a new city. You can start to get the feel of a City, hear some of its history and choose to get off and further explore particular sights. The Bath Sightseeing bus takes you to all the main points of interest, including The Royal Crescent which is about 15 minutes walk (uphill) from the City Centre. The Bath Assembly Rooms were designed by John Wood, the Younger, the same architect who designed the Royal Crescent. The Assembly Rooms were at the heart of fashionable Georgian society, the perfect venue for entertainment. When completed in 1771, they were described as ‘the most noble and elegant of any in the Kingdom’. Pulteney Bridge was completed in 1774 in Palladian style. It is one of only four bridges in the world with shops across its full span on both sides. Definitely worth a visit – and to do a touch of shopping! The Circus is a wonderful example of Georgian architecture. Designed by John Wood the Elder in 1754 and completed by his son John Wood the Younger in 1768. The name comes from the Latin ‘circus’ which means a ring, oval or circle. With a large green space and tree in its centre, the Circus is well worth taking – and is a good spot for that important insta shot! Only a few minutes walk from the Royal Crescent, the Circus is well placed to visit as you venture towards the City Centre. The Jane Austen Centre offers a snapshot of life during Regency times and explores how living in Bath affected this prolific author’s life and writing. Included in the ticket price is a guided tour which gives you further insight into Jane Austen, her family and their connections to Bath. Don’t forget to pop into the Tea Rooms at the Centre for a cup of Jane Austen tea, or even a splendid High Tea. You will be overlooked by Mr Darcy too! Walking Tours are a lovely way to discover Bath. There are plenty of walking tours available, inlcuding a free tour which leaves from the Pump Room (next door to the Roman Baths). You could also take time to have a lovely afternoon tea at the Pump Room. There really is so much to do and see in Bath. Hopefully, we have given you enough a taste for some of the things to do that you will enjoy Bath as much as we do. We would like to thank Visit Bath for their support in our visit to Bath.